We have arrived at Madeira, finally, we can say. From Duarnenez it was initially very prosperous. 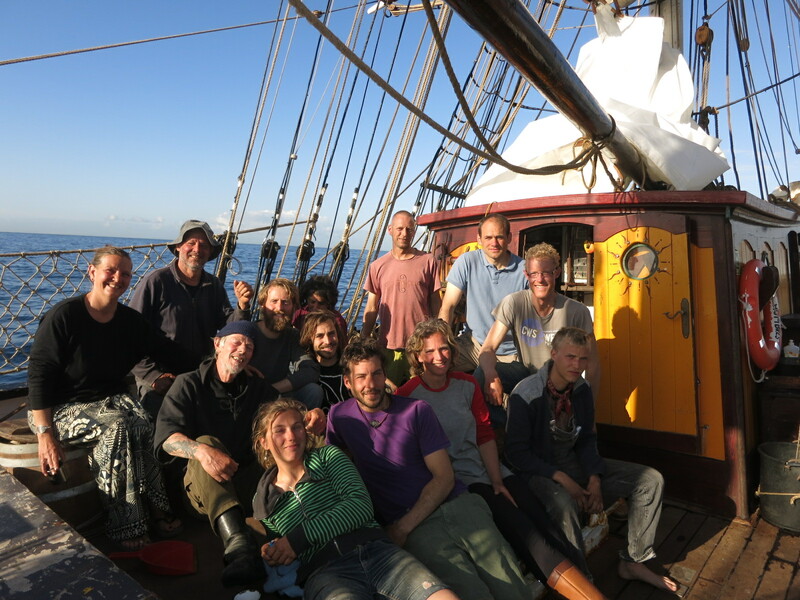 So prosperous that we way too early in Madeira would arrive and we should remain nearly two weeks to these trainees on board. Therefore it was a stop for scheduling, Cascais in Portugal. The temperature there was such that we are already in holiday mood started to come, good food and drink ashore did the rest, enjoy! But, the weather forecast reported an upcoming depression with storm off the coast of Portugal. So we already went way earlier than expected to the depression. That’s largely successful, but we still have a little tail of. The holiday feeling disappeared thereby. Because there you are, in the night, in the rain, on a stomping ship. 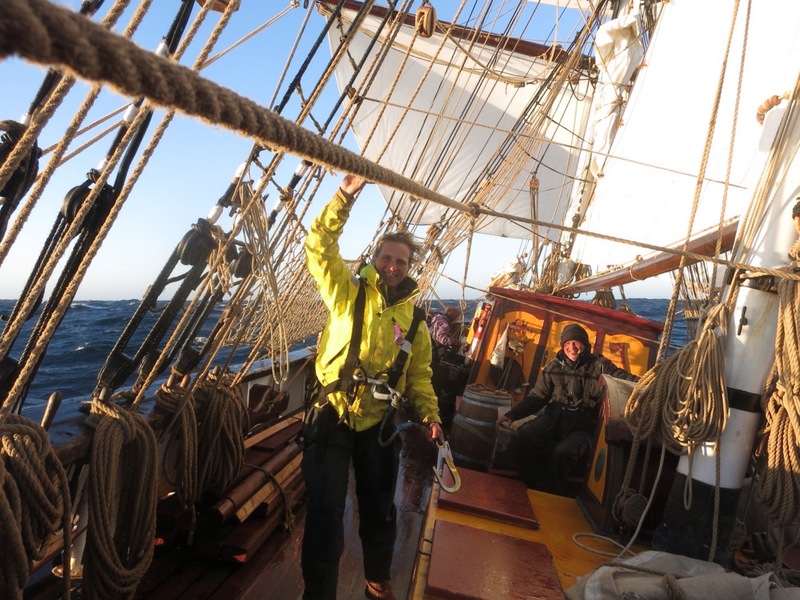 Sleeping in the forecastle was tricky, as stomped the ship on the waves. However, already leads the audience Madeira came in sight. But, as the captain said: “So close, yet so far away”. Because the sea was too rough to anchor to go, so we made turns around and sailed away again from Madeira. Just swallow and again continue, weather two days on a sea with nauseous for some waves and rain. 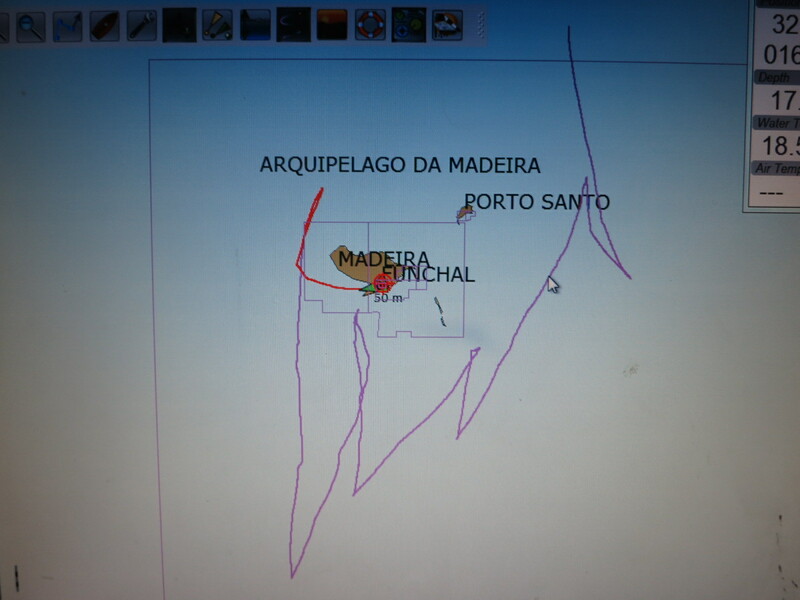 But, two days later it was yet so far, we could anchor in Madeira! One of the beautiful things to the Tres Hombres is that it attracts all kinds of people. Where you home yet often deal with people with equal lifestyle, interest and age on board, the differences are huge. So is Sam, Enlgels, 24 years, studied political science and philosophy but is now chef at a restaurant in London. Ernst, Dutch, but living on Bonaire, has a surf school founded and sold and rented now some houses there. Rolf, from Switzerland, saxophone teacher. And Carlos, 67 years, from Berlin, but is been fisherman on a river in Colombia. And that’s just a small selection of the trainees, the crew is often an even other battle, that live on the sea, which can often not even earthen ashore. And that sits together on a small boat, without privacy, and thus need to harvesting. Not that that always goes well turned out at the first mate where we said goodbye to in Cascais. It clicked not really, it didn’t work between him and the rest. And you don’t get to be great friends, but here the differences were apparently do something big. Here in Madeira is a new first mate on board, and the first impression is good, likable boy, will be well. 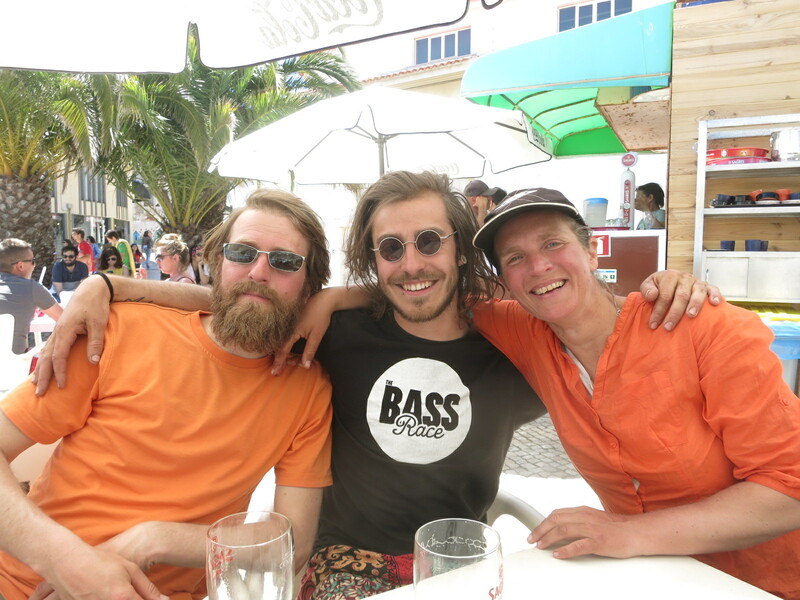 Here in Madeira, people of the ship, sometimes planned as Rolf, sometimes unplanned, as with Carlos. He was told that his mother is dying. With a tear he must finish his dream trip to the Dominican Republic so here. It’s not all part of the game. We leave here next Monday or Tuesday, in the direction of La Palma. With the expected wind direction would mean that two days sailing. Here we go cargo clearance, and then we make the great crossing to Grenada. Exciting! But now enjoy Madeira.